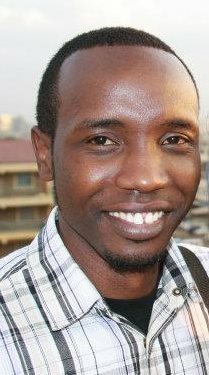 Edward Manyonge, a 27 years old Artist from Kenya who now specializes on modern art, studied Graphic design at one of the prestigious local Art schools in Kenya from 2004 to 2006 at the Buru Buru Institute of Fine Arts in Nairobi, and is still practicing till date. He started teaching Art Design and Technology at the Turkish Light Academy from 2007 to 2009, then went to Braeburn Garden Estate where he was teaching Design and Photography from 2010 October till end of 2011. From a brush he borrowed from a friend, Edward Manyonge of Print Alive Agencies has gone on to produce some of the greatest works of art to top local artists and groups including Sauti Sol, Stl, Dj Ck, Eve De’Souza, Dj Style, just to mention but a few. Mark Mdoda found out what he has been up to ever since. When and how did you first become interested in Art? How long have you been painting? When I was growing up, I had a keen interest in drawing cartoons/comics, and my parents really supported me with all the resources that I needed which motivated me a lot. I have been painting since High School. What are your painting influences? My influence comes from beauty, fashion and good music. Does anyone in your family paint? Actually, no one in my family does, but they have a keen follow up on all the pieces that I produce. What else do you do besides painting? I am the creative director for Print Alive Agencies. I also do a lot of consultancy for safari to my foreign friends who often come down to Kenya for vacations, something that I really enjoy. With proper time management and hard work, everything is possible. What is your plan for the Art you are doing now for 2012? I am working on a project with a Real Estate developer to be furnishing the apartment with my art which I am so looking forward to. What is it about the way your style of painting that makes it different to the other artists? I have worked so hard to be different from other artists styles, which hasn’t been easy but with my consistency, I have managed to keep and maintain the style hence it’s easy to notice my painting with ought my signature. Mostly it has been the market but with a lot of marketing the business is finally picking and doing well as now I am targeting the overseas market with the help of my friends around the world.